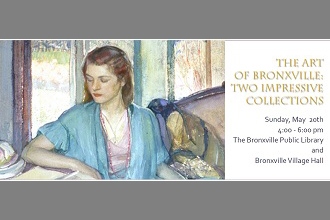 May 16, 2018: Art historian and curator Jayne Warman will present a slide show and lecture titled "The Art of Bronxville: Two Remarkable Collections" on Sunday, May 20, at 4:00 pm at the Bronxville Public Library. Sponsored by The Bronxville Historical Conservancy and the Bronxville Public Library, the program will feature Bronxville artists’ works acquired by the Conservancy as well as paintings and prints donated to the library by generous library trustees and residents. Warman will share the history of the two collections, focusing on selected works with a PowerPoint presentation. The program will also include docent-led tours in the library and across the street in village hall, where most of the Conservancy’s paintings are permanently displayed. The public event will conclude with a wine reception in village hall. Warman is curator of the two collections. 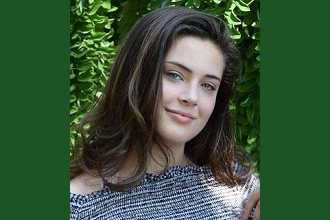 She is a former Bronxville resident and served as a library trustee and co-chair of the Conservancy. She lives in New York City and is a recognized Cézanne scholar. She has contributed to numerous catalogues and exhibitions and is co-author of an online catalogue raisonné of the artist’s paintings and drawings to be launched to the public in December of 2018. Conservancy board members Lyndal Vermette and Chris Goff are organizing this special lecture, tour, and reception with library trustees Sarah Normand and Pippa Colvin. The program is part of the Conservancy’s twentieth-anniversary celebration and furthers its mission to foster an awareness of the village’s architectural, artistic, and cultural heritage. The Bronxville Public Library has been an important and valued partner, not only in this program but also in its shared commitment to securing Bronxville’s history as an art colony. The public is invited to register for this free program by contacting CLOAKING . Early registration is advisable, as space is limited.